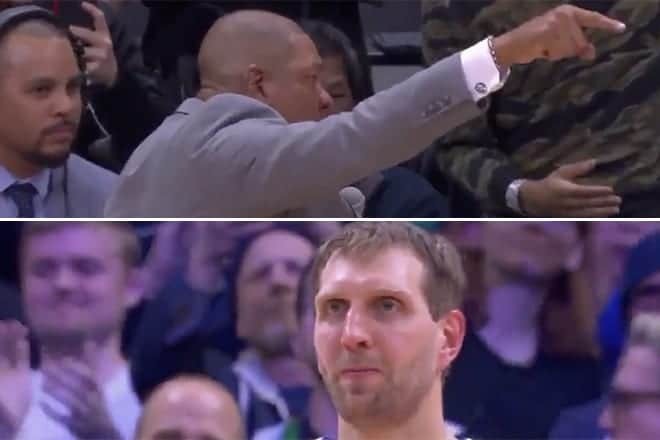 Doc Rivers Dirk Nowitzki – Legends don’t come about too often, so when one is on the verge of retirement, sometimes a regular send-off just won’t cut it. The crowd then proceeded to shower the German NBA legend with a standing ovation, who after 21 seasons, looks set to have played his last ever game at the Staples Centre ahead of his expected retirement this off-season. 2011 NBA champion Nowitzki was not the only departing legend to play his last game at the Staples Centre this season. Dwayne Wade also graced the iconic LA venue for one last time but did not receive a similar send-off from Rivers, although the Lakers, who share the same stadium, gave him a pre-match tribute back in December 2018. “That was just, we had a lead and I had a timeout,” Rivers told ESPN, continuing with: “honestly, I didn’t plan it. I just felt like he deserved that.